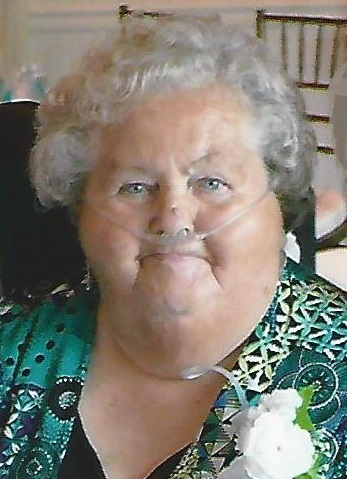 DOROTHY R. BLANKENSHIP, age 75 of Plain City, went to be with our Lord Wednesday morning November 14, 2018. Born April 20, 1943 in Cleveland, Ohio. She was a member of Christian Life Church, Plain City. Her greatest joy in her life was her family and the love they shared. Preceded in death by parents: Donald and Dorothea (Hunter) Smith; husband of 54 years: Arvil D. Blankenship – 2014; 2 sisters and 1 brother. Survived by loving children: Robert (Mari) Blankenship, Arvil Lee (Becky) Blankenship, Robin (Jimmie) Loy, Janet (Terry) Yates; adoring grandchildren: Amethyst (Aaron) Frost, Robert (Marissa) Blankenship, Andrea (Hunter) Collier, Deidra Blankenship and Cory (Cecily) Blankenship, Seth (Stephanie) Blankenship, Zach (Jessica) Blankenship, Jimmie (Kristi) Loy, Jeremiah (Amanda) Loy, Joseph (Morgan Pennington) Loy, Jacob (Abby) Yates, Joshua (Leanndra) Yates; darling great-grandchildren: Sapphire Frost, Callen and Camilla Blankenship, Xander and Raea Blankenship, Teagin and Kember Loy, Bodhi Loy, Emmett Loy, Penelope Yates, Theodore and Gabriella Yates; faithful friendly companion: Baby Cakes; special friend: Rosemary Alband. The family will receive friends 5 – 7 PM Saturday, November 17, 2018 with Celebration of Life Service at 7:00 PM, Ferguson Funeral Home, 202 E. Main Street, (St. Rt. 161W) Plain City. Pastor Bud Mulford officiating. Many thanks to those who have cared for Dorothy at Loving Care Hospice, Memorial Gables of Marysville and Home Health with Jeff Bowman.